Color:Blue Color:Blue Sprite Beat’s insulated lunch bag is designed to help you and the environment by offering a fun and reusable option for lunch and snack time. Sprite Beat Lunch Box is perfect for on-the-go parent or child. 3) Lunch bag recommended for all ages. 4) Each lunch bag is rigorously tested to ensure that it conform to all rules and regulations set forth by the Consumer Products. 5) This lunch bag will last a long time, but you’ll find that with all of Sprite Beat’s fun color and pattern options you’ll be ordering whenever you’re in the mood for a new look. 6) Easy to clean and washable lunch bag. Apart from the roomy main compartment, this lunch box features a zippered front pocket that is perfect for hiding a surprise treat or securing sweet notes. 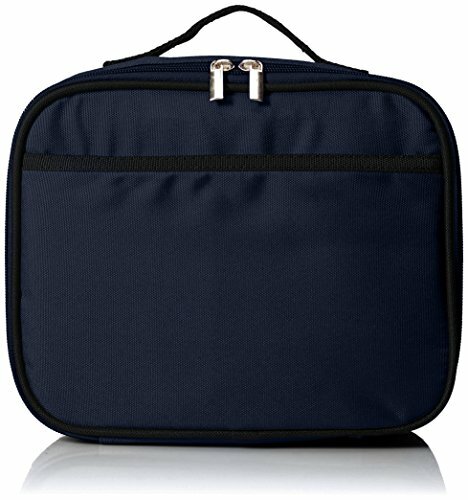 An interior mesh pocket of this lunch bag for storing napkins, utensils or an ice pack. Lunch Bag size just right for kids and adults. For this kind of quality and superior design, you honestly cannot beat the price. Do not store or close your lunch bag until 100% dry.